From 1874, five generations of one family developed Bodnant Garden not far from Tal-y-Cafn and donated it to the National Trust in 1949. This peaceful and spectacular garden is one of the most sedate tourist attractions in the whole of Wales. Spread over 80 acres there is something for everyone. 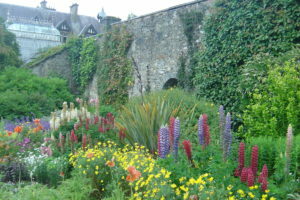 Bodnant Garden is not just one style of garden; if you can imagine a style of garden Bodnant has it. From sweeping lawns that any humble home gardener would give his or her right arm from through to gentle corners of total tranquillity with familiar and unusual plants around every corner. Whether you want to stroll with a loved one, sit and meditate under a tree or picnic with kids as they frolic and chase their shadows, Bodnant is a place one cannot ignore when visiting North Wales. 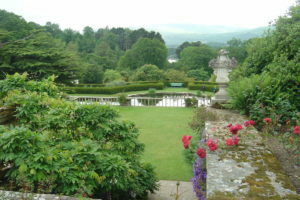 Henry Pochin, a famous Victorian Industrial Chemist, purchased the Bodnant Estate in 1874 and at the time it was little more than lawns and pasture. Edward Milner and his then assistant Joseph Paxton were tasked with landscaping and transforming the 80-acre estate and began planting a variety of plants and trees that were a little more unusual. 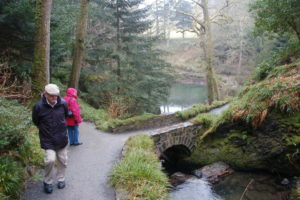 They created amazing woodlands and a beautiful water garden in the valley. In time, a glasshouse was constructed to house a superb collection of exotic plants that still exists today. During the 19th and early 20th Centuries, explorers and botanists brought plants from all over the world to the garden. These gifts made the world famous garden what it is today. With impressive collections of Rhododendron forrestii, Magnolia, Eucryphia and Embothrium species garden lovers from around the globe are drawn to the garden because of the unusual collection of plants that are kept in outstanding beds and plantations. The collection of plants is amazing and the gardens are extremely well maintained making Bodnant one of the top gardens in the world. 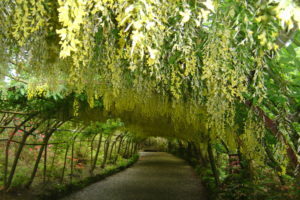 There is so much to see at Bodnant that it makes sense to make a full day when visiting and it is worthwhile slowing down to take in what many tourists simply describe as “Amazing” or a “Garden Lovers Paradise”. Every season has its own special feeling and the garden is beautiful no matter what time of year you go. Late spring and early summer are popular times to visit as the artists palette of colours comes to life with the uncountable varieties of flowers and blossoms on trees showing off their brilliance.